– Sasha Banks and Alexa Bliss are backstage. Bliss doesn’t like the situation they’re in tonight either. Sasha says we all know Bliss needs her tonight because the chances of her losing the title at No Mercy go up. They have words and Bliss tells Sasha to check her boss ego at the door tonight because she is champion. Sasha fires back and says they will be victorious tonight and then Sasha will make her scream at No Mercy when she makes her tap out. Back from the break and out first comes RAW Women’s Champion Alexa Bliss. 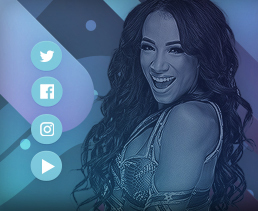 Sasha Banks is out next. Nia Jax is out first for her team. Emma is out last. If Emma and Nia win, they get put into the title match at No Mercy to make it a Fatal 4 Way. Back from another break and Sasha goes at it with Nia. Nia stops the offense and keeps Sasha on the mat. Nia talks some trash to Emma and Emma tags herself in, going right to work on Sasha. Emma takes Sasha to the corner and unloads as the referee warns her. Sasha tries to turn it around but Emma keeps control and covers for another pin attempt. Emma keeps Sasha grounded with a submission now. Sasha ends up getting a break after a suplex. Sasha tags Bliss in. Bliss takes Emma to the corner and unloads with kicks. More back and forth and tension between the two. Sasha tags in and keeps Emma down in the corner. Sasha takes Emma back down and hits running knees for a 2 count. Sasha keeps Emma grounded now. Sasha takes it to the corner with forearms. Emma also hits a forearm. Emma tries to tag Nia in but Sasha cuts her off and takes her back to the corner for Bliss to come in. Bliss and Sasha hit a double suplex on Emma. Bliss covers for a 2 count. Bliss uses the ropes on Emma as the referee counts. Bliss with more kicks in the corner on Emma as Nia looks on and waits for the tag. Bliss takes Emma back down to the mat. Bliss keeps control and goes to the top for Twisted Bliss but she comes back down as Emma moves. Emma fights back and finally tags in Nia. Nia faces off with Bliss. Bliss slaps her. Nia yells at her, grabs her and delivers a big clothesline. Nia flattens Bliss in the corner, drops her again and drops elbows. Bliss with a forearm to the face and another. Nia blocks a DDT and throws Bliss into a big Samoan Drop. Sasha breaks the pin up. Nia talks trash to Bliss now. Bliss manages to tag Sasha in. Sasha drops Nia over the top. Sasha comes in and comes off the top but Nia catches a crossbody. More back and forth now. Sasha hits a Shining Wizard for a 2 count. 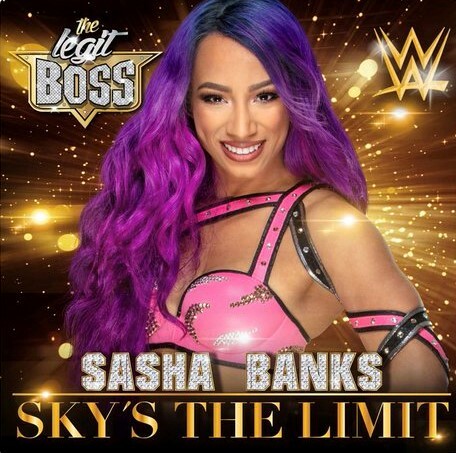 Sasha tries for the Banks Statement but it’s blocked. Nia floors Sasha and hits the big leg drop. Emma ends up coming in and stealing the pin. Nia and Emma are going to No Mercy. – After the match, the winners stand tall as we get replays. Emma looks to extend her hand but Nia ends up dropping her and leaving her laying with a Samoan Drop.